Whether a proper Roman or a mining dwarf, protective gear is necessary. Wear the Premium Version of the Quintus Leather Body Armour for anything that may come your way. 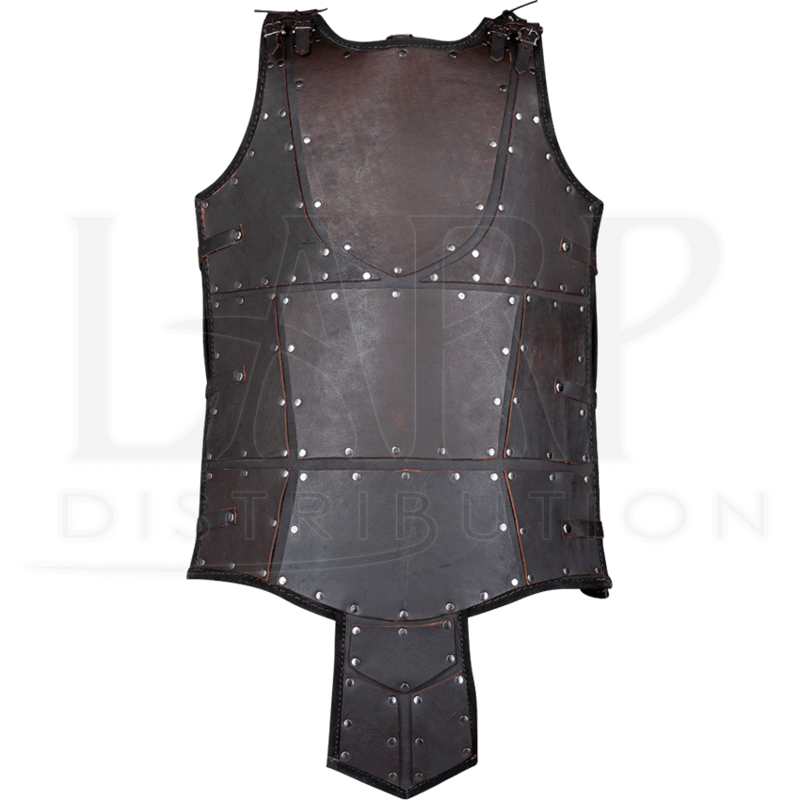 Available in brown and black in two sizes, this premium leather armour is built with many 7/8 ounce leather plates riveted to the 10/11 ounce leather base. A lower section on the front protects the groin area. It can be worn alone or with chain mail or a gambeson, sold separately, if desired. It is a part of the Quintus series of armour. The leather torso attaches at the top and is adjustable with three sets of buckles and straps on both sides. The top also includes ties that can be used to attach pauldrons. 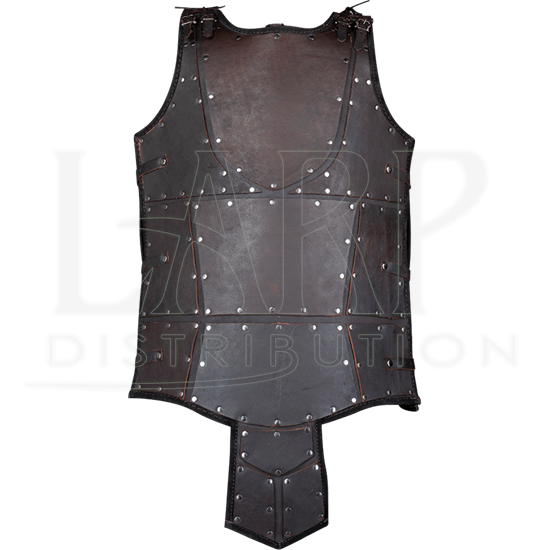 It is great body armour for a LARP event or fantasy convention.